11/4/04 | Larry Sabato's Crystal Ball, a correctly predicted the outcome of 98.5 percent of the 2004 House, Senate, gubernatorial and state-by-state Electoral College races. In a White House election as "tight as a tick" in terms of electoral votes, Sabato's gaze into the Crystal Ball forecasted the outcome of the presidential election in 48 states and the District of Columbia, erring only in Florida and Wisconsin. The success of the Crystal Ball carried over into congressional races, as Sabato called 99.3 percent of House races and over 97 percent of Senate races correctly. With the gubernatorial race in Washington likely headed for a recount, the Crystal Ball accurately predicted the election results in nine of the other 10 races, missing only New Hampshire. Full results are available on line at www.centerforpolitics.org/crystalball. In an era of extremely close races and a highly polarized electorate on Election Day, the Crystal Ball's predictions have been mirrored by the election results. In the 2002 midterm elections, Sabato's Crystal Ball consistently predicted nearly 90 percent of election outcomes: 99.6 percent of House races, 94 percent of Senate races, and 88 percent of gubernatorial races. In the context of past successes, Election 2004 has bolstered the success of the Crystal Ball and its relative value as a tool for anticipating the outcome of elections for academics, media, and political junkies alike. Maintained by Professor Larry J. Sabato and his staff at the University of Virginia Center for Politics, the Crystal Ball began as a pre-election seminar that evolved into a website in 2002 to provide complete election coverage and analysis. The Crystal Ball is a free public service designed to increase the awareness of national politics and issues, consistent with the Center's motto that "Politics is a good thing!" The Crystal Ball works in conjunction with the Center's Youth Leadership Initiative and 2004 National Symposium on Youth Civic Engagement in an effort to provide American's youngest voters with the information empowering them to think, act, and vote. 9/28/04 | This seminar, on the evening of the first presidential debate, will survey the history of the youth vote, examine the issues young people are concerned about, and try to assess whether voter mobilization efforts have been successful. This live teleconference will feature students from the University of Virginia and other colleges all across the country. 9/14/04 | With an incredibly close race for the White House, youth are a key demographic in this year's election. Panelists will discuss what issues drive youth into politics, the different roles played by young people on campaigns, and they will attempt to explain why youth typically have the lowest turnout on Election Day. Diverse panelists round out the panel moderated by Larry Sabato. 9/1/04 | Vanessa Kerry, daughter of presidential candidate John F. Kerry, will discuss issues related to young people and politics. The question and answer session is open to the public and will take place in the University of Virginias Newcomb Hall Ballroom at 11:00 AM. Larry Sabato, Director of the Center for Politics, will introduce Ms. Kerry and field questions from the audience. For more information, please contact Joshua Scott at 434-243-3540 or jscott@virginia.edu. 5/27/04 | The University of Virginia Center for Politics will host the Commonwealth's top political analysts, historians and current and former members of Virginia state government to discuss the modern history of the Virginia General Assembly during the Virginia General Assembly Project. The conference will be held on Friday, July 23, 2004 at the Richmond Marriott on Broad Street. In previous years, the Center for Politics has examined the administrations and legacies of Virginia's recent former governors, in order to apply the hard-learned lessons of the past to the challenges faced by today's Commonwealth. In anticipation of the Jamestowne 2007 commemoration of Virginia as the birthplace of representative government in America, this year we turn our attention to the Virginia General Assembly, the oldest continuous law-making body in the United States, and the individuals who have helped shape this ever-evolving institution. This year, in order to maintain the perspective needed to properly consider each administration, the Center will study the recent history of Virginia's legislative body, the General Assembly. Topics will include: Governing as a Citizen Legislator, Competition, Compromise, and Camaraderie in a Two-Party System, and Governing Virginia in the 21st Century: Where Will We Go From Here? Friday's keynote address is entitled The Capitol Square Renovation Project. The panels on Friday are free and open to the public, but registration is required. Members of the media interested in covering any portion of the event should contact Matt Smyth at (434) 243-8466 or smyth@virginia.edu. Panelists: Joseph V. Gartlan Jr.
A. R. Pete Giesen Jr. Some panelists will be added next week; check back for more information. Get in the Booth! A Citizen's Guide to the 2004 Election is the latest book from Larry J. Sabato and the University of Virginia Center for Politics. With original chapters by Professor Sabato, prominent political journalists, and distinguished election scholars, this timely and accessible new book offers insightful, up-to-date analyses of the issues dominating the 2004 presidential election--while the election is still ongoing! The book contains chapters devoted to critical issues, such as national security, the economy, health care, and education, as well as coverage that gives practical guidance and motivation to citizens and students especially on voting and getting involved. Contributing journalists include: Carl Cameron (Fox News), Mark Jurkowitz (The Boston Globe), James Kitfield (National Journal), Steve Liesman (CNBC), Howard Mortman (Hardball with Chris Matthews), and Susan Page (USA Today). Contributing scholars include: Robert Brown (Emory University), Christopher Conover (Duke University), Marjorie Randon Hershey (Indiana University), and Rick Hess and Andrew Kelly (American Enterprise Institute and Education Next). The book also comes with a free access code to InTheBooth2004.com, a website that will be updated weekly by Professor Sabato and the books contributors--keeping readers abreast of the most important developments right through Election Day! Look for Get in the Booth! beginning on June 21, 2004. 5/27/04 | Showtime has selected Charlottesville, Virginia and the University of Virginia Center for Politics to host one of 10 episodes of the network's new political reality series, American Candidate. The purpose of the American Candidate series is for the American people to select a "People's Candidate," who they feel has the qualities and credentials to lead at the highest level. Contestants will face-off against each other in a series of challenges designed to test their political mettle. On Sunday, June 20, 2004, at 12:30pm the Center for Politics will host the aspiring candidates, at Old Cabell Hall on the historic grounds of the University of Virginia. University Professor and Center for Politics Director Larry J. Sabato will co-moderate the event, along with the American Candidate show host. On Monday, June 21, 2004, the candidates will be turned loose in the city to secure support/votes in order to remain on the show. Rather than attending a multitude of formal events, the candidates will have the opportunity to attend a few smaller events, but will mainly work with local individuals and groups to structure their "campaign" in a way that maximizes their experience in Charlottesville. Each candidate will look to meet with and accept the volunteer help of interested individuals following the town hall meeting debate on Sunday, June 20. The candidates come from very diverse backgrounds and represent a broad spectrum of political ideology. Interested individuals and groups are encouraged to attend the June 20 event in Old Cabell Hall at 12:30pm and support their favorite candidate. The University of Virginia Center for Politics is a non-profit, non-partisan institute whose mission is to promote the value of politics and seeks to improve civics education and increase civic participation through comprehensive research, pragmatic analysis, and innovative educational programs. Founded in 1998 by political analyst and Professor Larry J. Sabato, the Center is committed to the proposition that government works better when politics works better. American Candidate is intended to provide a forum for new and diverse ideas and a path to national prominence for people with a passion to make a difference. By introducing a diverse group of potential leaders, with different sets of core issues and policy proposals, the show will provoke discussion and debate about what our nation is really looking for in a president and involve more people in the political process. The winner gets $200,000 and a nationwide media appearance after the show so the "American Candidate" can make his or her address to the nation. 2004 has been a busy year for the Youth Leadership Initiative - and with election season just ahead it promises to only get busier! In October 2004, YLI will host the nation's largest secure internet mock election on our recently redesigned and upgraded website. The YLI Internet Mock Election features cyber-ballots tailored to each student's home congressional district, giving students a realistic introduction to voting. This spring, thousands of YLI students across the country joined us for e-Congress 2004. Our annual on-line congressional simulation yielded over 3,000 thought-provoking bills on topics ranging from gay marriage to gun control to safety in schools. Center for Politics Hosts State Legislative Leaders Conference: "Making Elections Count"
3/24/04 | The University of Virginia's Center for Politics hosted legislative leaders from Virginia and across the country last week, as a part of an ongoing series of conferences sponsored by the State Legislative Leaders Foundation. Taking place March 18-20, 2004, on the grounds of Mr. Jefferson's University, this event brought together elected state delegates, house members, and senators in leadership roles with representatives from the corporate world, for a forum entitled Making Elections Count: Winning, Governing, & Engaging the Public. The mission of the Center for Politics is to improve American democracy by promoting the value of politics and seeking to improve civics education and increase civic participation. To that end, this conference endeavored to demonstrate to prominent and influential legislative leaders that simply winning elections is not enough. Rather, consideration must be given to the manner in which campaigns are run, as the governing that follows is ultimately influenced by it. Center for Politics founder and director, Professor Larry Sabato, described the conference as "a unique opportunity for state legislators of both parties to learn effective-and more importantly, ethical-strategies from leading experts in all aspects of modern campaigning." Friday morning, Governor Haley Barbour of Mississippi, gave an engaging keynote speech in the Newcomb Hall Ballroom on the keys to winning elections. 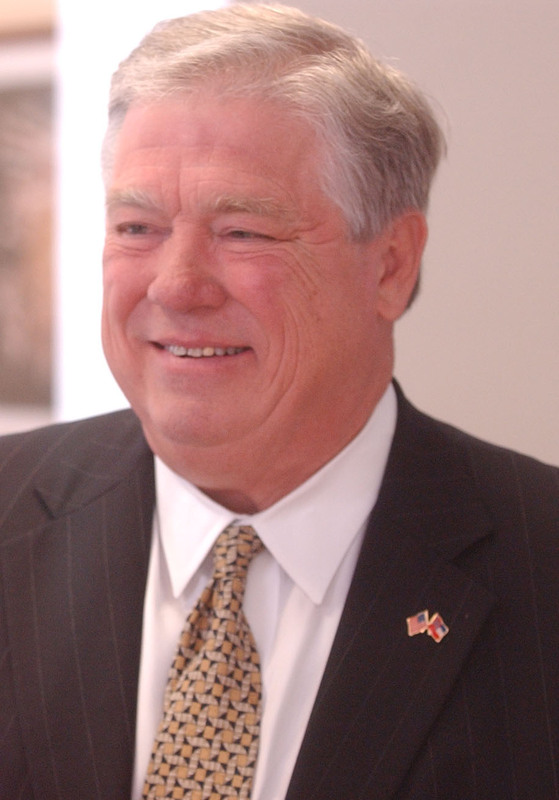 Drawing on both his experience as a gubernatorial candidate and his chairmanship of the Republican National Committee, Governor Barbour elucidated the mysteries of becoming an "electable" candidate for political office. Given the polarization of the modern American political system, Gov. Barbour stressed the value of transcending petty party politics. To do this, he suggested that a political candidate must craft the election in such a way as to make a vote for the candidate a vote for an issue, rather than a vote against the other candidate. As an example of the potential success of such a campaign, Gov. Barbour delved into the Republican "Contract with America" in which the RNC successfully changed the 1994 mid-term elections from a vote between Democrats and Republicans to a vote between the status quo and the "Contract." Following Gov. Barbour's keynote speech, Center for Politics Chief of Staff Kenneth Stroupe gave an interesting speech on campaigning and the media. Drawing from his years of service as Press Secretary and Director of Communications for Virginia Governor George Allen, Mr. Stroupe outlined three "Rules of Engagement" for dealing with the media: Be Honest, Be Open, and Be Prompt. In addition to advice on creating a positive public image, Mr. Stroupe stressed the importance of a candidate knowing his or her relationship with the press. While he did promote the idea of candidates having good working relationships with reporters, Mr. Stroupe warned that the press is not a candidate's advocate, and likewise should not be treated as such. Friday's session also included a roundtable discussion entitled Engaging America's Youth, which featured Adam Anthony from the Center for Democracy and Citizenship, Erin Ashwell from Harvard University's Institute of Government, Erin Ross and UVA third-year student Lindsay Brubaker from United Leaders DC, and Joshua Scott representing the Center for Politics' Youth Leadership Initiative. The panel evaluated the role of America's youth and the importance of engaging them in the political process as youth political knowledge and participation has plummeted. Also discussed was the Center for Politics' recently released nationwide study entitled "Politics: The Missing link of Responsible Civic Education," which explores the problem of country-wide civic disengagement, especially among students and young voters (youthleadership.net). Other sessions included a discussion on campaign agendas by former Democratic Senatorial Campaign Committee Executive Director Andrew Grossman, a look ahead to the 2004 election as viewed through Larry Sabato's Crystal Ball (centerforpolitics.org/crystalball), and a lesson on the effective usage of polling, by The Polling Company, Inc. President and CEO Kellyanne Conway. The conference concluded Saturday morning, with presentations by Chris Casey of Casey.com and Max Fose of Integrated Web Strategy on utilizing the internet, an exploration of advertising and the problem of "overpromising" by Squier Knapp and Dunn's Anita Dunn, and a concluding talk about how it all can be done, by State Legislative Leaders Foundation's Dr. Thom Little. In addition to the educational sessions, participants toured the University grounds, Monticello, and the historic Michie Tavern. The goal of the three day conference was to prepare legislative leaders for their own upcoming elections, as well as elections of colleagues in which they will have an influential hand, and to provide them with the tools necessary to raise the level of discourse and competition while remaining successful. As Sabato put it, "Elections will never be perfect, but they can and must be done in such a way that candidates prove themselves worthy of holding the office they seek." 1/29/04 | Professor Larry J. Sabato, Director of the University of Virginia Center for Politics, will host a live on-line webchat at Washingtonpost.com on Friday, January 30, 2004 at 11:00am EST. Sabato will take questions submitted via the website and answer them in real time. Topics will range from the recent primary results in New Hampshire, to the upcoming contests in South Carolina and other states scattered across the country, to the general election, to the current political climate in general.